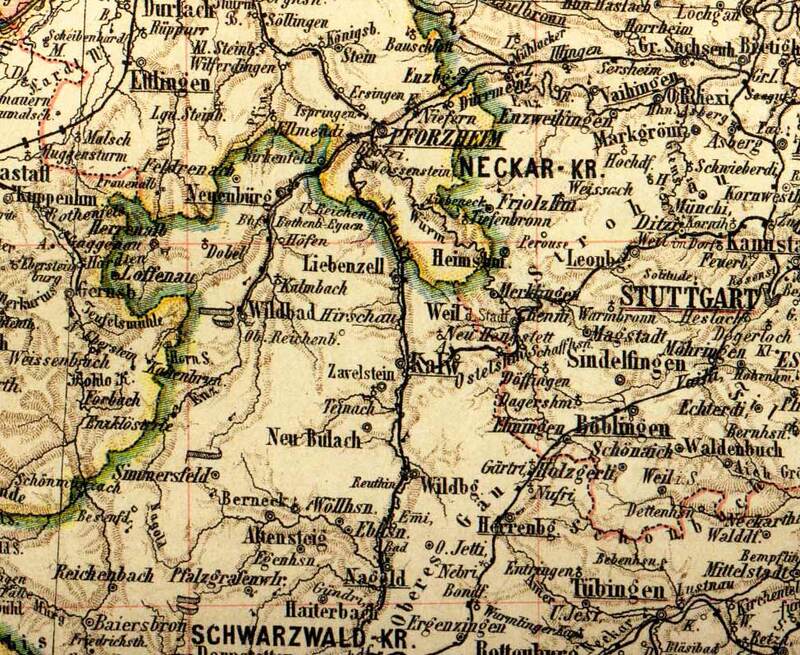 This is a section of the Ravenstein Maps dated from the 1883. the villages of U. Reichen. and Ob. Reichenb. can be seen south of Pforzheim. (Unterreichenbach and Oberreichenbach.) Note the Village of Reichenbach in the lower left corner. It is no longer existent under that name.